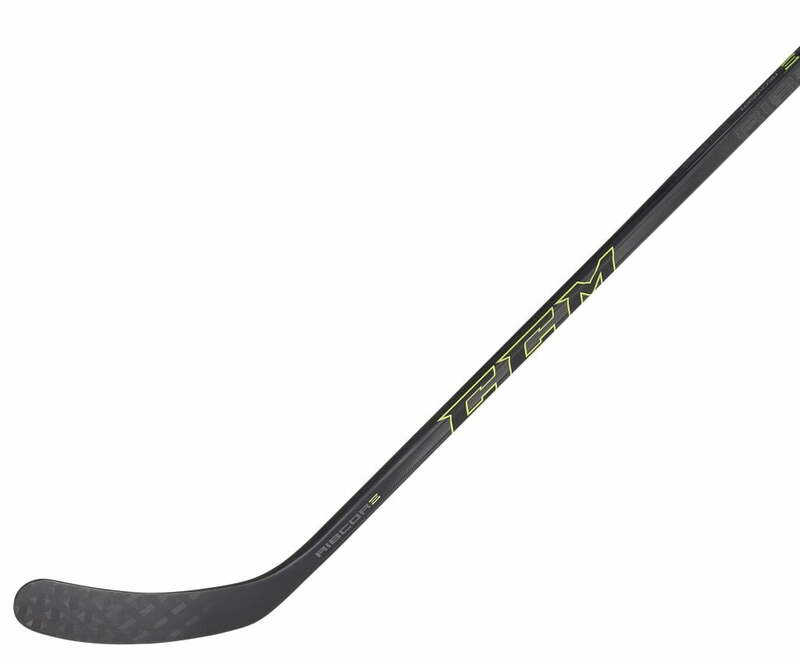 CCM Ribcor Reckoner Intermediate Hockey Stick | Sports Etc. Pre-loaded RIBCOR shaft, with TECHNORA reinforcement. Amazing durability with unsurpassed energy transfer. New and optimized stiffness profile that goes from softer in the heel to extra stiff at the toe for a great feel and a quick release. A power taper ratio of 3:1. More vertical stiffness means less energy wasted down into the ice, all your effort goes into fully loading the stick. Low Kick Point will load very easily for that quick and surprising release. CCM engineers have brought the new Ribcor Reckoner to the next level by optimizing the construction of both shaft and blade. The new PopMatrix technology maximizes output by keeping the performance fibers in constant tension while being protected by an outer layer around the shaft. The optimized blade stiffness profile provides even greater feel, more efficient energy transfer and explosive release than before. Sports Etc Performance To Value Rating– 9 out of 10- We have tried it, and we can safely say the Ribcor Reckoner is one of the very best quick release sticks on the market today. Perfect for any experienced player looking for a competitive advantage.